Frank Tumwebaze is the minister for the Presidency, which puts him in charge of Kampala city. With his recent task of presiding over the impeachment of Lord Mayor Erias Lukwago, Tumwebaze is seen as one of the star performers in the Museveni government. But how did Tumwebaze get there? He told his story to Simon Kasyate, who presents Capital Radio’s Desert Island Discs programme every Sunday evening. Are you bothered by all this brouhaha about you in the media, in the wake of the lord mayor’s so-called impeachment? Well, it’s been a very good experience because it gets to unite your friends and foes and lets you know who has what opinion of what you are doing. But one important point that you get out and which encourages me rather than depresses me is that I am creating an impact. Unless one creates an impact, you will not get one person coming out to support you and you won’t get another coming out to criticize you. So my one year in office as minister, I am really satisfied with that. [Laughter] Indeed, those are tsunamis. I can go into a whole length of justifying my actions and I will not tire. First of all, we have a political environment in Uganda that especially we members of this generation must vigorously reclaim. We have leaders, across the board, who do not want to make decisions. Many people fear to be criticized. Many people want to be associated with what is popular. Being firm, being decisive is not a brand that is common. You are dubbed overzealous, you are dubbed arrogant and of course there has been this culture in the NRM with our senior leaders who I respect so much, did not initially believe in the politics of talking. They were busy in the bush, they were pacifying the country; they did more fighting, they were into more action than talking. So, quite often, the fighting was over, we are now in government. So, the critics of the NRM enjoyed an environment of silence from government. Everything of government has been demonized. Sometimes I marvel at the capacity of Ugandans to discern what is right. Otherwise, if media propaganda was anything to go by, the NRM government would have been voted out a long time ago. Because a lot [of] untrue stuff is talked about the NRM, the president; you have a media in Uganda that prefers negativity in their news menu, so if Ugandans were to consume all that as truth, they would have voted out this government a long time ago. So, when you get a Frank Tumwebaze, as a minister doing the unusual, bothering to take time to speak, to write, to justify what you stand for, to remain firm and un-intimidated, some people get shocked. What kind of minister is this? They give you names, they want to mock you; but that does not threaten me, because my activism and my decision to support the NRM did not start one year ago when I was made minister. And that’s the gist of the matter; what makes you the kind of person you are? Who are you? I was humbly born in my rural village Bisozi in Nkoma sub-county in Kamwenge district on 1st December 1975. My father, who is fortunately living, is called Matayo Kagyigyi, and my late mum, Beatrice, passed away two years ago. When my father migrated to that area from Mpororo in the 60s, he did a lot of working as a herdsman in areas of Buruuli. My father was a cattle keeper. They migrated to this area because they did not quite get favour herding in Ankole area. He speaks about the reasons he went to Tooro and not Ankole with emotion. That is why I am hesitant to talk passionately about issues of kingdoms and ethnicity. To me, ethnicity doesn’t matter because growing up, the pool around us were of different tribes, Batooro, Bafumbira, Bakiga. And my voters in the constituency are from across the tribal divide. I recall growing up as my father was a target of the UPC chiefs because of his many cows. In the early eighties they were targeted together with a few Batooro – that he was giving cows to the NRA rebels. I am the third last born of seven, two deceased. My elder brother did not go to school; he looked after cattle as his major occupation. Growing up, I joined him. But I started school in 1983 at the local church school called Bwitankanja church school. When I finished the first year, my parents thought I was not yet old enough to move to the primary school to join P.2 but when the term started and I reported on the first day and made it back home without incident, my mother allowed me to continue. This was Bisozi primary school, which is about seven kilometres from home. Majority of the classes here were under trees, the others were iron- sheet-roofed donated by some tsetse fly project in the area. The school is a lot better now. See when I defend certain programmes like UPE, then I am called a sycophant but in my reality, UPE has changed such school, substantially. What is affecting the quality of education is carelessness on the side of teachers and the inspectorate but the infrastructure is much better. Stop the political talk right there; tell me what your typical day as a pupil in this Bisozi primary school was like. With my father, cows came first. He picked interest in my education when I was in S.1; that’s when he noticed I was of some value because I could read to him notices from the chiefs, dispute judgments on land and read instructions for him off labels of pesticides. But initially in my primary that was purely my mother’s responsibility and from purely her earnings from the sale of her ghee. In school was myself, the sister I follow, who is now a nurse and another sister. Others did not get a chance to get an education; the girls got married early; my elder brother married at 17 years when I was in P.2. And so for one to secure my father’s permission to go to school you had to wake up early and do the milking. And after, you [had to] clean the kraal of cow dung. So, it was up to you whenever you finished those chores, when you went to school. At school I was a prefect, so I had to be at school early and by P.6 I was head prefect. I was appointed to those positions because of discipline. I did not like football in school because it was rough and I considered it a game of undisciplined peers. And then I wore my first shoes, then costing about Shs 3,000, in Senior one, the old school “Canvass”. And where is it that you went for your secondary education? Well, not in the so-called popular schools. In 1990 I went to Nombe SS in Rubindi in Kashaari, a school surrounded by banana plantations. My mother had found me that school through some connections with her sister, who was married around that area. My first choice was Nyakasura School. I got 14 aggregates but then Nyakasura School could only take you with 12 or 13. Even worse is that we did not fill out the form X because nobody had collected them from Fort Portal, which was our district because the River Mpaga had overflowed. So none of all the candidates of my year in that primary school went to their secondary school of choice. So in Nombe SS, I only did S.1 because it was far; my father got impatient with it because of the rigours of going back home for holidays. One time, during the Easter break, we were sent on holiday. 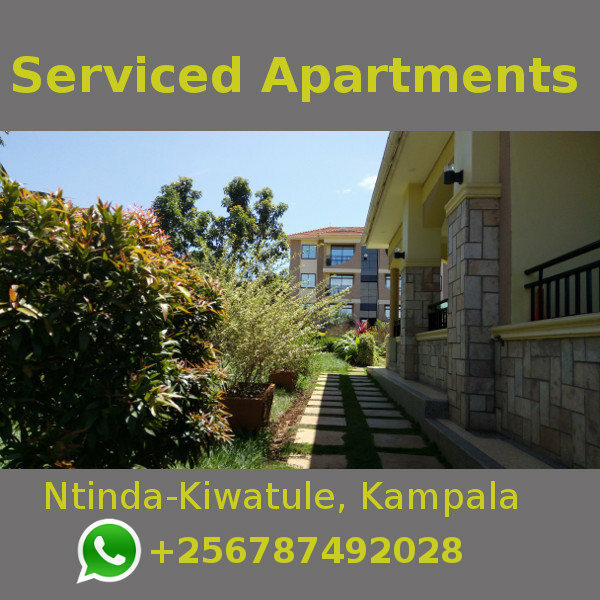 I had no money, so I set off with a friend called Kinawola, whose home was in Nyabuhikye on foot. I did not get home until after three days! The first night, I slept at Kinawola’s home, having walked for the whole day. The following day, he gives me a ride on his father’s bicycle to a place called Kiburara and leaves me there. It was getting to 6pm and I got worried because there were tales that around Mpaga river they killed people. So I had to do a real marathon to ensure I crossed Mpanga before it got dark. Lorries and other cars just couldn’t give me a lift. So anyways, I crossed and stopped in Kamwenge town after 7pm, which I had never been to. I couldn’t go to the police. But I recalled an uncle of mine was a head of the laity in my village church and I suspected the people at Kamwenge church knew him. And indeed they did, so I narrated to them my ordeal and requested to sleep over, which they gladly allowed. The next morning I was up and on the road till I reached home. This is the incident that got my father to change his mind on the school I was attending. He chose that I go to Kazo Senior Secondary School. But all the while I had a bad feeling about such third-world schools; I thought those were the best schools for me. After all, I knew my father could afford the fees of the so-called first-world schools. I wanted to be a scientist, a doctor; but I had a sense of frustration because such schools did not have labs and other facilities. But I nonetheless read the subjects but I was let down by Biology because we did not study the entire syllabus. I was the only student in the school studying Chemistry and Physics. So lessons also coincided with these subjects and this would relegate us to under the trees. But I managed to sit and pass the exams with 18 aggregates which was enough to go to Jinja college. I hated the so-called traditional schools in my area like Ntare and Mbarara High School because of their arrogance. This was epitomized when once, in 1992, President Museveni invited student leaders in the district to Kakyeka stadium. As chairman of the school council, I was part of the 11-person team from Kazo SSS. We arrived at the stadium early, took our seats and then boys from Mbarara High School came in and manhandled us off the seats because they considered our school unworthy the presence. That was it for me with traditional schools. Anyways before we sat our S.4, we went for a trip to Jinja and Jinja College was our hosts. These treated us very well and as chairman of school council, I shared a room with the school head prefect then, Wilbroad Nakabala. The popular subjects in that school were sciences. I was impressed and promised myself and Nakabala that I would return to that school and I did. I was offered Physics, Chemistry and Mathematics. I knew I had missed to be doctor and as such, I didn’t work hard to be an engineer which is what PCM could make me among other professions. I worked to be a surveyor, because I wanted to return home and solve the land issues of the time. I had seen my father suffer with issues of land tenure, I wanted to solve this. I missed being admitted on government [sponsorship] for engineering by about 1.5 points and so I was admitted for two courses by government, BSc Computer Science at Makerere University and Bsc Education[ Maths and Physics]. At that point, I made up my mind to study Education because I felt a brilliant person should be a teacher. But back at Jinja College, I was even elected Head Prefect. So, I was a very engaging student. I won the election, not because these were premised on tribe or ethnicity but on how eloquent one was. I was also driven by the desire to superintend over those students who had come from the so-called first-world schools and I did. In my S.6 vacation, I went to teach at Kaaro High School, near the president’s Rwakitura home. That was perhaps the only time I actually taught even [though] I qualified as a teacher from university. In Mbarara University, I was elected Guild Speaker. That is when I started relating with colleagues like Minister [Richard] Todwong, Peter Ojur, Sarah Kagingo, Taligola, Wilson Kajwenge and others through debating clubs. I did a lot of networking. I did not believe that at any one time I would be employed as a teacher because I did not like the bureaucracy to be a teacher. But rather I felt better off as a school owner. And I later formed a school. But I did internship at Kashaka Girls’ SSS in Mbarara. I later teamed up with some friends to start our first school in Sanga area, a secondary school. By the time I graduated from university, I was a fully-fledged political activist. There are many things I was involved in at university. During the 2000 referendum, I linked up with the likes of Odrek Rwabwogo, Mayombo and I was a media assistant to director of information at the Movement Secretariat. How did you meet these people? Mayombo was reaching out to us in schools; that is how I got close. Another one who reached out to universities was my brother [Nobert] Mao. I was personally moved by the Mayombo line because of the revolutionary spirit. I, therefore, got very involved, writing articles in newspapers and even advocating for a district in my area. I was also secretary general of the [Uganda] National Students Association. But this is the time when lads get to have a feel of life’s little luxuries; some drinking, dancing, keeping good female company; how much were you indulging in this? I was a very God-fearing person. I had seen some of my colleagues die young from HIV, I lost about three friends in secondary school. I am not spicing myself up but those issues of dancing, alcohol, and the like I didn’t indulge and I still don’t. I had this colleague at the university studying medicine whose sister came often to visit her. I got fond of the sister, she was smart; and I made up my mind that this is the kind of lady I wanted to marry. And so in 2000, I proposed to her – Florence – as she was in year one at Makerere studying law. I had also developed interest to contest in my constituency. But she asked how I would pull off a wedding and why the rush, which I tried to explain. Anyway my first pledge was a million shillings from Mayombo. I went to Muyenga club where I found a plate of food cost 10,000 and I decided that would be the venue for the wedding. Soon after the wedding I got a job with Uganda Revenue Authority as assistant Revenue Officer. When I got the job I was not conformable. The money was good, but it was strict schedule that required you to do nothing else except to stamp away in the Long room yet I was a radio activist and always attending rallies. I was also still mooting the idea to contest against Charles Byaruhanga in my area. I found this job untenable. My desire to contest leaked to the president and I was invited and dissuaded from contesting since I had a job with URA. I made known to him my frustrations with that job and he then offered me deputy RDC, which I thought was a good deal. And so I was later made deputy RDC Iganga. And that’s how my political roots started and firmly rooted in my area. I would have contested in Mbarara University, but I wanted my home area. And so I moved up to Special presidential assistant and here I am today. I Have since become a father to five as well. What kind of dad are you to your children? I try to be close to my children but I don’t have time. But I also do not believe in spoiling them, this whole idea of working on the whims of children without being candid to them. Often we have a meeting where we exchange views on how to relate on dos and don’ts. I encourage them to have seriousness of purpose. I implore parents to prepare your children to face the challenges of tomorrow. Your favourite foods and pass-time? Well, I have cut out meats and now I am on vegetables and with a lot of running and exercise. Doing gym does relax me. On a Saturday or Sunday, if not diverted by duty, I go off to look after my few cows. Quite often she brings me lunch at the office because usually I have no [time] for long external lunches. I eat one meal a day. Future ambitions; where should we expect to see Frank in ten years? At some stage when I am still energetic I will go back to my village and do farming. Stop right there; you don’t have any presidential ambitions? No. I do not get excited by dreams that are not guided. If you dream endlessly, you suffer from illusion and you get off track. Today I am a minister; I did not scheme to be a minster. This is enough. I am 38 and a minister, I feel I owe a lot to the appointing authority and all Ugandans to do some work before I engage in any further dreams. For me to dream to be president at this stage is to be disillusioned and overambitious. The real ambition I harbour is that at some age, I shall retire to my village and transform it, have an industry at home, and be a rancher with 1,000 Boran cows. Are you friends with Erias Lukwago? I have no problem with my brother Lukwago; we were together in the 8th Parliament, he is not the person I had any beef with. Our disagreements are purely on duty, I am a minister in charge of Kampala and he is the lord mayor. I have nothing against him. 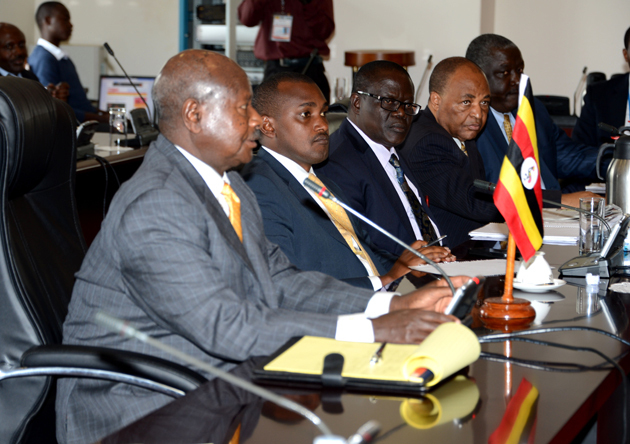 I have only been minister for one year but the issues have been there longer; so, it can not be a Tumwebaze issue.